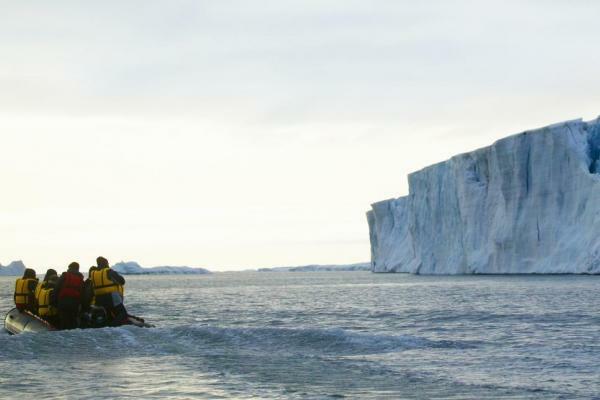 Join the crew of the Sea Spirit on this remarkable 11-day cruise in East Greenland. Almost beyond comprehension, the extent of Greenland's ice Sheet is 1.8 million square kilometers, equivalent to 14 times the size of England and giving birth to icebergs as big as 10-story buildings. In East Greenland, prepare to be humbled by the magnitude of the landscape and privileged with the chance to experience such a remarkable new earthly perspective. Welcome to Reykjavík, the capital of Iceland and starting point of your Arctic expedition. In spite of the fact that Iceland lies below the Arctic Circle, Reykjavik is the world's northernmost capital of a sovereign state. However it is not the only feature that makes this city special. Not far from Reykjavík one can find geysers and waterfalls, mountains and glaciers. You may also visit a vast selection of restaurants, museums and shops. in the afternoon, embark the Sea Spirit and keep an eye open for whales (humpback and minke whales are most common) as the ship sails out of the picturesque bay. The Ísafjörður fjord is undoubtedly one of the most beautiful in the country, mainly for its relief, forged by many very ancient basaltic flows. Visit a small town of Ísafjörður honored to be the capital of the Western fjords. The local old wooden houses bear witness to its past as a major fishing port. Get a glimpse of the traditional everyday life in Ísafjörður. Accompanied by a guide, walk around Ísafjörður to experience the town’s true spirit and meet the locals in their element. The towering steep mountains of the Western Fjords provide a perfect shelter for the lively harbor which is the heart of the town. For centuries, Ísafjörður has been the largest fishing town in the area and the center for export and trade. Colorful houses decked with corrugated iron give the bustling center a friendly and almost mythical aura. The main industry is fishing and the townsfolk rely heavily on that for their financial security. Through time Ísafjörður has also played a significant role in Iceland’s national history and is still one of the most vibrant cultural centers in the country. Spend the evening passing along the ragged and glaciated Volquart Boons coast. This morning, land on Danmarks Ø, where you find the remains of an Inuit settlement abandoned around 200 years ago. The carpets of red, yellow, and green vegetation contrast dramatically with snow patches and beautiful icebergs near the coast. During an afternoon Zodiac cruise in Fonfjord, watch some of the most stunning icebergs in Greenland that make Scorsebysund area so popular. Every evening spent at Scoresbysund, you have a great opportunity to see fantastic Northern Lights. The Scoresbysund region contains the most productive fast-flowing outlet glaciers draining east from the Greenland Ice Cap. In the morning, plan to explore the Harefjord, which lies on the boundary between Scoresbysund as one of the world’s largest fjord systems and the very inland ice of Greenland. The hikes at Harefjord take you up close to one of the many outlet glaciers of the Greenland Ice Sheet. From the highest point, observe a breathtaking view over Harefjord where the glacier tongues descend into the sea. Here, and further at Rypefjord, admire rare blue icebergs, which are more typical for the Antarctic. In the afternoon, head to Rypefjord to watch more blue “antarctic” icebergs, which are even bigger and deeper in color than in Harefjord. Go ashore at Cape Hofmann Halvø to walk around the breathtaking autumn tundra. With dwarf willow and dwarf birch changing their colors; with Arctic blueberry and crowberry adding their own colorful touch; with huge dark mountains and the cold blue of the icebergs – the landscapes here are something awesome! 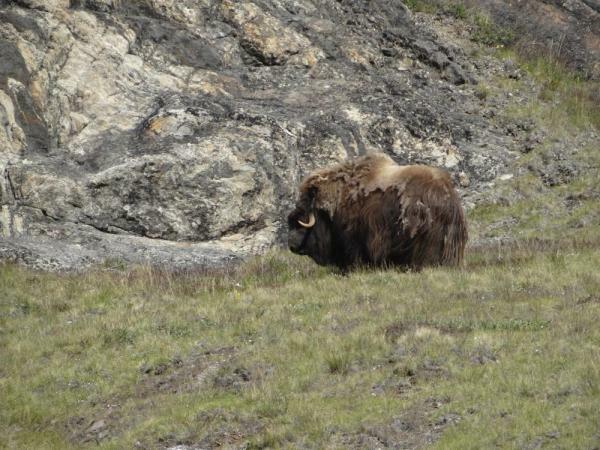 Encounters with musk oxen are almost guaranteed. Another tundra hiking adventure is on agenda for today. Take a rather easy walk at Frederiksdal to the hill slope where you can observe red-gold carpets of the tundra backed by dark mountains and blue icebergs. Musk oxen and Arctic hares roam around. Be on open decks as the ship navigates through Nordvestfjord to Sydkap. Watch huge icebergs over 100 m high and more than a kilometer in length. 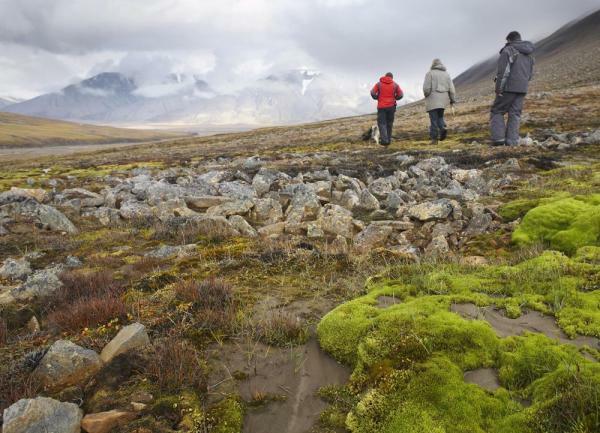 Land at Sydkap to view the remains of the Thule culture winter houses. 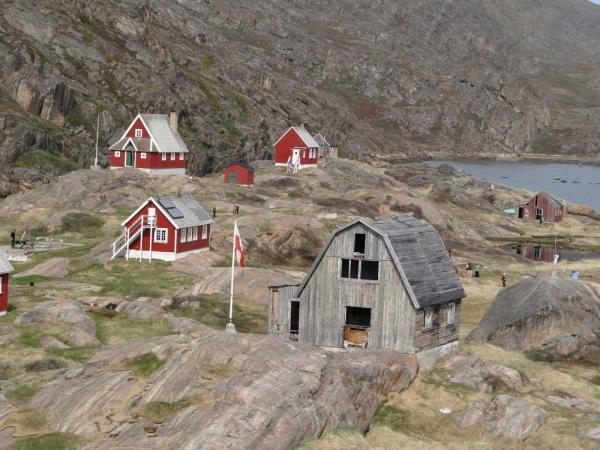 As many as 20 people lived in these tiny houses, hunting Greenland whale and using their vertebrae to build the houses. The landscape here is gently undulating. Ittoqqortoormiut is the biggest settlement in the Scoresby Sund with a population of about 450 people. In the morning, visit the town and observe the modern lifestyle above the Arctic Circle away from the other world. In the afternoon, the Sea Spirit heads for Denmark Strait. 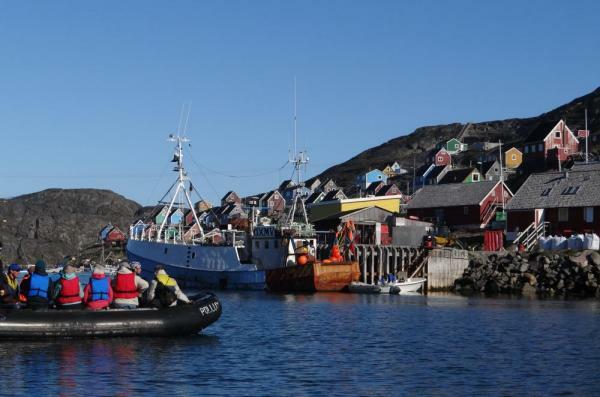 It’s time to bid farewell to East Greenland as you pass by the stunning views of the Blosseville Kyst. Today, spend time on the open decks and keep an eye open for large whales migration in between interesting lectures and presentations. Grundarfjördur is a typical Icelandic fishing village, framed by beautiful mountains. During guided tour around the settlement, observe how people live here face to face with nature. Later, go for Zodiac ride to discover the rich birdlife of the nearby Breiðafjörður islands. About 50 bird species breed here including common shag, glaucous gull, white-tailed eagle, common eider, black guillemot and grey phalarope. 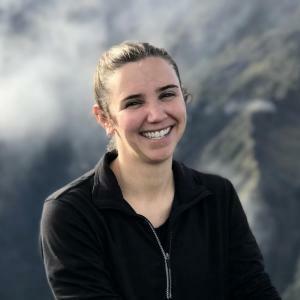 The bird-watching tour may turn into whale-watching as well, for several cetacean species are common in the area including killer whales, Minke whales, common porpoises, and white-beaked dolphins. Your East Greenland adventures finish in the port of Reykjavik.